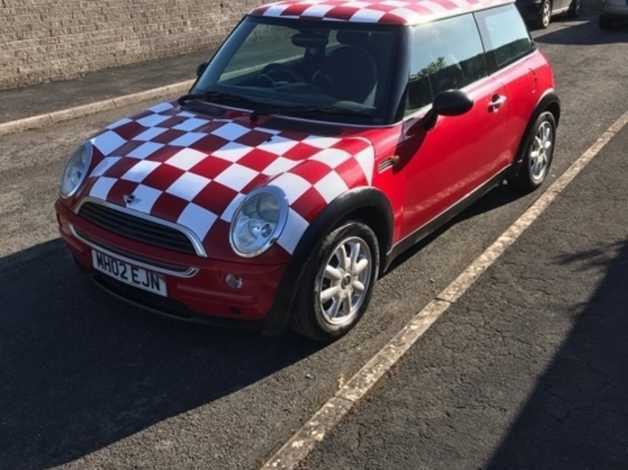 Mini one 1.6 petrol red with white checks.Mileage is currently 117,000 miles and has mot til July 2019. The car has electric windows,electric mirrors,central locking,alloys wheels with good tyres,new rear exhaust & new alternator the car looks nice has a few marks on the bumpers. The car had a new clutch & other work carried out receipts available and has service book etc.